This amazing drawing was created by Kiera Morneault, the daughter of the vineyards Executive Chef. Kiera is 10 yrs old and is also our vineyards Naturalist. She loves everything about the outdoors, from the trees to the tiny bugs that crawl our earth. 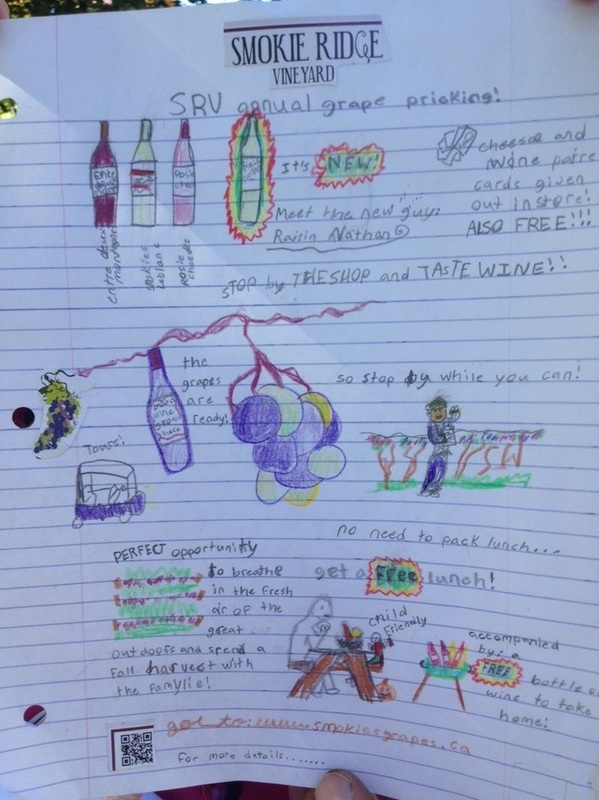 In preparation for our annual harvest weekend, she drew this picture to let all of our customers know what we offer here at the vineyard during this busy time of year and the fun time that can be had by all. Thank you Kiera!